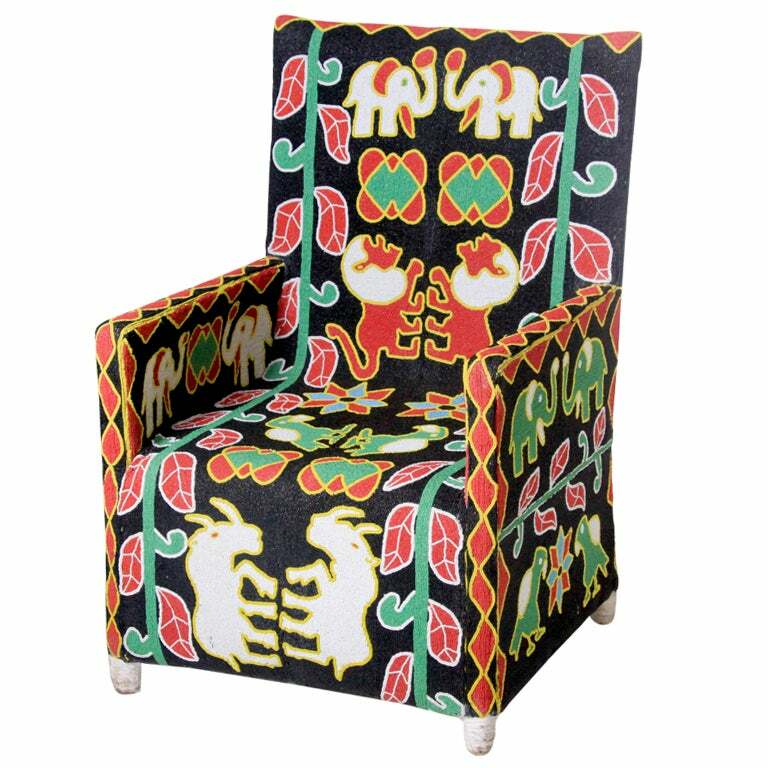 Exquisitely crafted Nigerian chair in vivid primary colors on black background. 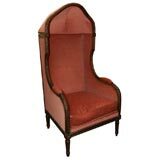 Canvas covered wood frame chair with extensive hand beading. 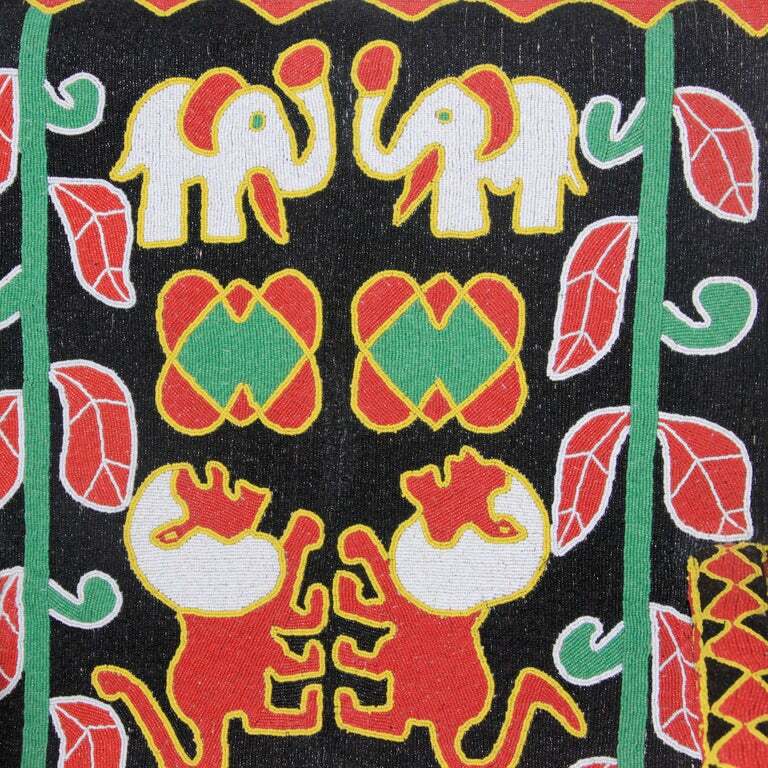 African artists used native animals (elephants, lions, rhinos and birds) juxtaposed with plant shapes and bordered with geometric designs to create a vibrant pattern. An unique work of art. 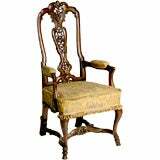 Scottish Victorian high-backed chair with beautifully carved and detailed mahogany back splat, legs and stretcher. 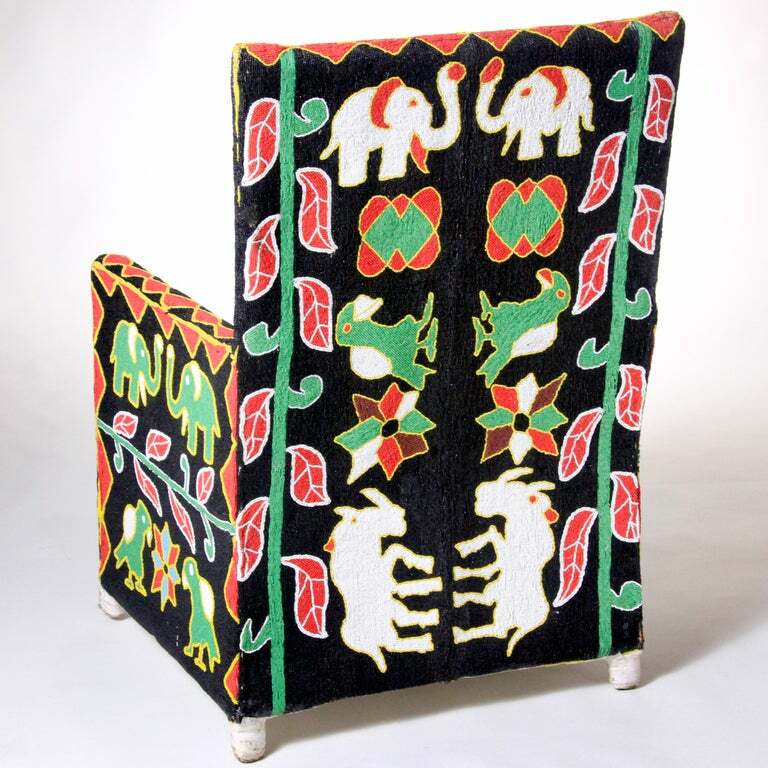 Fringed antique tapestry fabric seat and armrests. 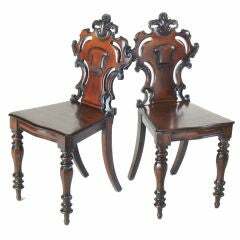 Pair of richly patinated English mahogany hall chairs with carved scrolled backs supporting fleur-des-lis crowns and raised centerpiece medallions on turned legs. Sold as a pair only. 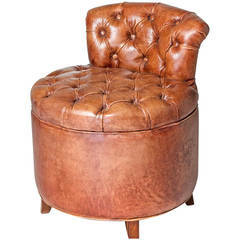 Small handmade tufted brown leather boudoir chair. 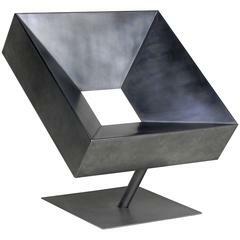 Greta Garbo style accent chair. Limited edition; only two produced. 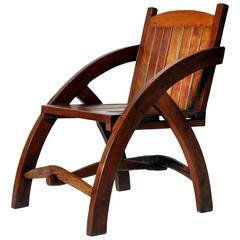 African chair in wood finish. 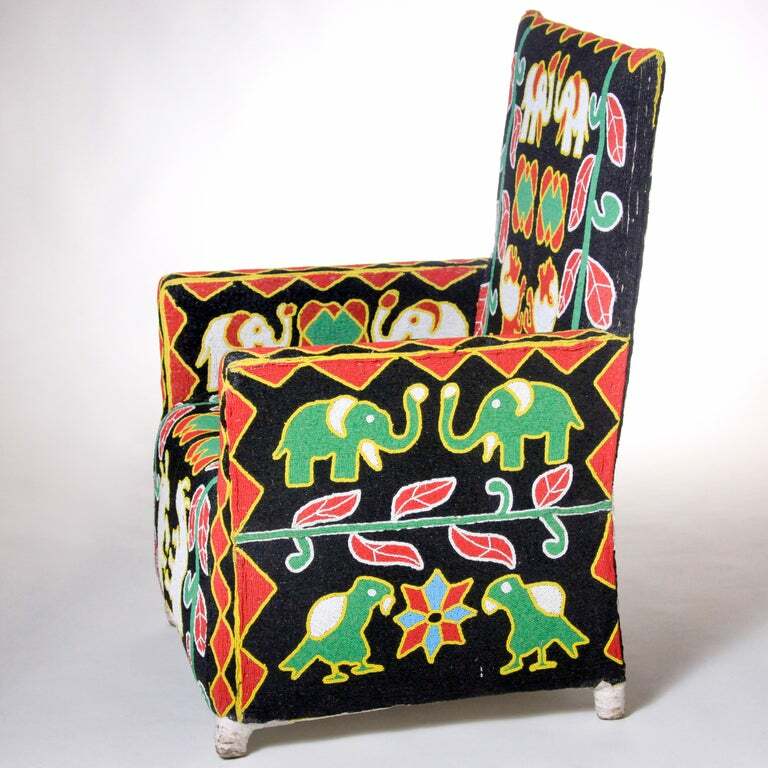 Pair of carved African chairs with ornate detail and fantastic shape and patina.